Our mission is to encourage a love of reading in children. We make this happen by following a diverse curriculum which sparks kids' imaginations – they're having fun with books before they even realise that they're learning! Each lesson features activities to develop a range of skills. For example, in the Weather lesson plan* below we work on reading, listening, lateral thinking, imagination, creativity, motor skills, coordination, strength, memory, spatial awareness, cognitive skills and routines. Skills developed in other classes include counting and numeracy, sharing and turn-taking, cooperation, sorting, categorising, graphing, patterning, observing, making connections, predicting, inferring, recalling and many more. *Please note that we regularly update our lesson plans throughout the year to ensure they stay fresh, and no two classes are ever exactly the same. So what actually happens in Busy Bookworms? Every Busy Bookworms class is unique, but we follow a structure of read / craft / move / active learning / read in order to help children understand routines and become comfortable transitioning between activities – extremely valuable skills to practice before starting school. Let’s take a look at the example of our Weather class. 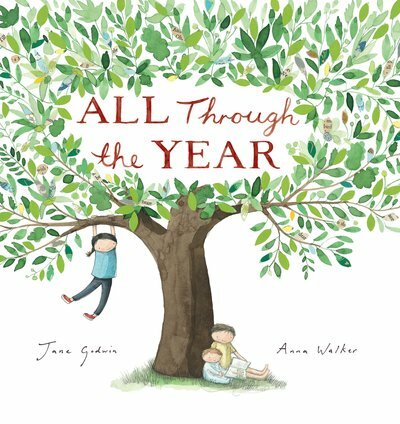 We always begin with a picture storybook – for a weather class, that may be All Through the Year by Jane Godwin and Anna Walker. The book takes us through the seasons of the year while we discuss things such as what we love about each one, which is our favourite, why we like it and so on. Hands-on weather experiments are a fantastic introduction to practical science activities! Next, we head to the craft table – we might make weather wheels (see photo) which the children can use at home to indicate the weather each day, or perhaps a colourful wind sock to determine the direction in which the wind is blowing. The techniques we select are designed to improve motor skills –drawing, sticking or squeezing pegs would be involved in making a weather wheel. 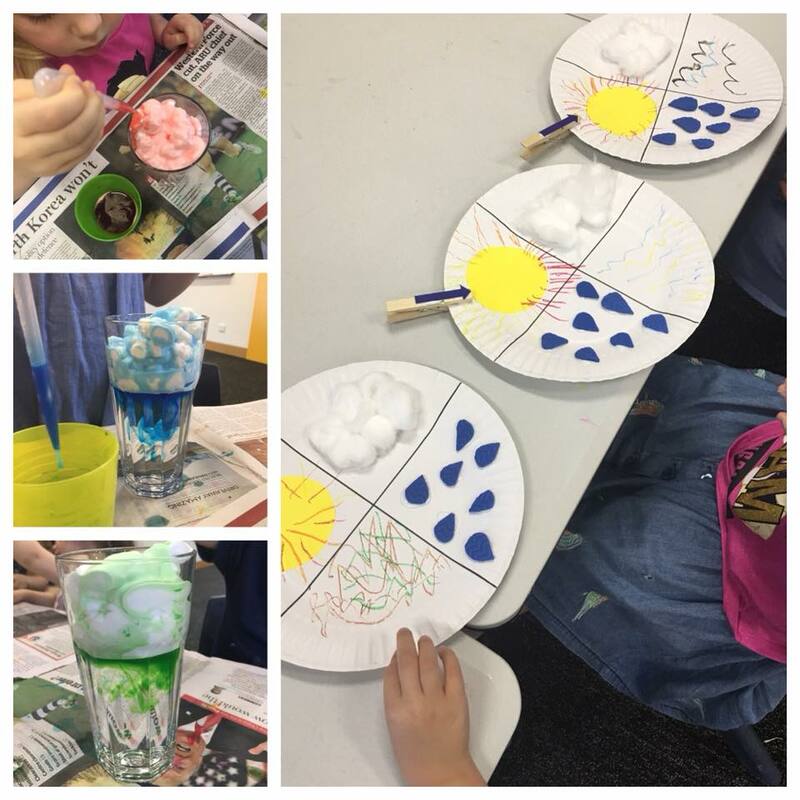 We use a variety of materials such as textured foam, cotton wool balls and oil pastels, so that the children experience a wide range of sensory inputs to develop their kinaesthetic abilities. As we work, we chat about how the different symbols and materials represent various types of weather. This helps the children begin to see connections between unrelated things, which in turn develops imagination and lateral thinking. After all this sitting, it's time for some movement! Some ideas we use involve creative movement to music, representing a range of weather types, or perhaps a game in which we roll a dice to decide how we'll move around the room: hop, skip, run, jump or crawl, improving coordination and core strength. Once we're well and truly exhausted, we return to the mat, where we'll play some matching games or assemble weather puzzles – great for developing memory and spatial awareness. Choose the right clothes for Froggy - kids love this!! Naturally, our weather topic lends itself to a fantastic science investigation – how clouds work, for example. We'll use droppers of coloured water (more fine motor practice!) to watch the shaving foam ‘clouds’ become so full of moisture that eventually, the coloured rain flows into the glass – beautiful, magical and educational! After a wide range of games and activities, we bring it all back together with another picture storybook. 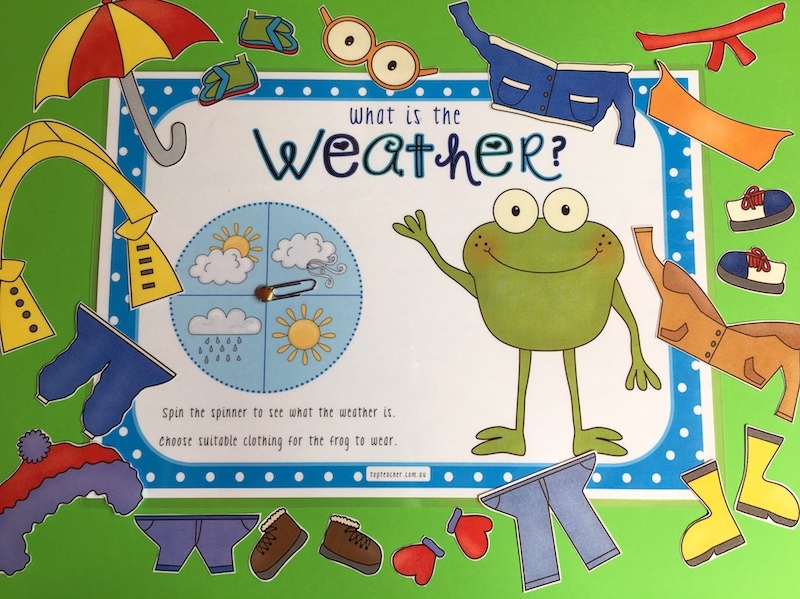 A great one on this theme is Froggy Gets Dressed by Jonathan London and Frank Remkiewicz, which allows us to focus on the cognitive skills involved in children learning to dress themselves, by choosing appropriate clothes for Froggy to wear based on the different seasons and weather conditions. At pick-up time the children bring home their crafts, along with a handout for parents detailing the books we read that day, and some useful information about other related books, tips for reading at home, or ideas for other activities you might like to try during the week. In this case, to connect with the weather theme, it might outline ways to help children learn to dress themselves, and some tips to make the process less stressful. Our curriculum is designed to ensure that children always remain engaged and excited – in fact, some of our most common feedback is that the kids eagerly await each class to find out what new books and activities await them! Don’t take our word for it – book your child in for a free class and see what they think!